Part of our new bridal boutique. 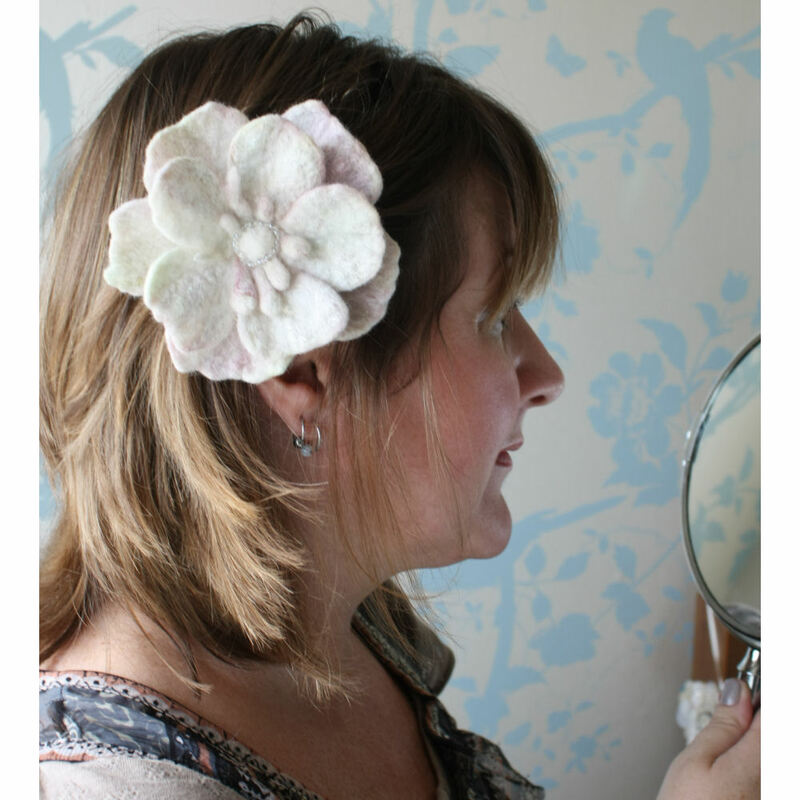 This stunning felted flower ahir accessory has been hand made using soft ivory merino wool fibres. pale pink and soft green fibres also are running through this beautiful accessory. tussah silk fibres and angelina fibres add an extra lustre. A ring of pale glass seed beads has been hand sewn around the centre too. ath back of this felted flower has a click hair clip securely sewn on, making adding it to the bride’s hair easy and quick. also available as matching wrist corsages on request.